I have created a site specific work for the Delphi Theater in Berlin Weißensee. 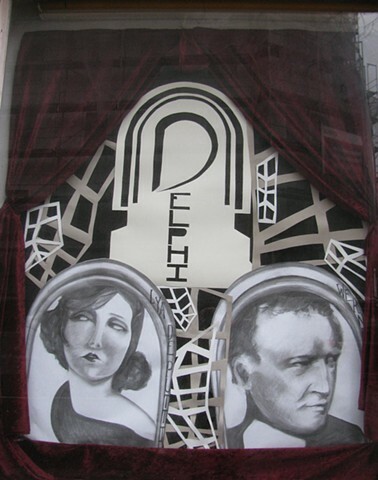 The drawing and collage installation was made in connection with Per Aspera Productions, celebrating the district's thriving film industry between 1913 and 1929. Inspiration was drawn from the expressionist silent horror film, The Cabinet of Dr. Caligari.